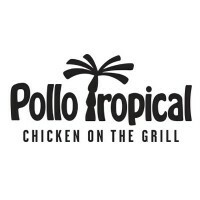 Pollo Tropical is a restaurant chain famous for its citrus-marinated grilled chicken and other tropical flavoured meats and food items. It has over 140 locations in the US, Latin America, and the Caribbean. Larry Harris had come up with a recipe for Latin American grilled chicken that was marinated in citrus. Then, together with his brother Stuart, they put up a restaurant in Miami in 1988. In 2005, the readers of the Miami New Times voted the restaurant chain as the “Best Chicken Chain”. This is not the first time they received this honor as they were similarly recognized in Orlando 2 years before. While working at a restaurant chain may seem like a transitory job, you can actually make a career out of it at Pollo Tropical. They offer medical and dental benefits plus a 401K and a lot more. Employees also get paid vacation days, holidays, and personal days. Employees take pride in the fact that they cook their food from scratch – from the chicken to the sauces. They also value team work and they put their heart into everything they do. How old do you have to be to work at Pollo Tropical? The minimum age to apply for work at this restaurant chain is 16. Successful applicants can work at the restaurants either on a full-time or part-time basis. Cashier: A cashier’s job includes greeting guests answering their questions about the menu. They will learn all about the menu and portion sizes to be able to assist the customers. They also take the customer’s orders (drive-through) and work the electronic register in a speedy and accurate manner. Expediter: An expediter assembles the food items to match the customers’ orders. They will put the food in their proper containers an arrange them properly to maintain consistency in all the orders served. They must make sure that their work area is clean and properly stocked always. Dining Room Attendant: A dining room attendant must make sure the dining area, including restrooms, trash receptacles, and other areas guests occupy are clean and sanitized. They may be asked to perform customer service tasks – like answer the guests’ questions – from time to time. Grill Person: A grill person should know how to use a grill to cook a variety of meats and must be able to keep their equipment clean at all times. They must be able to make projections of how many pieces of chicken, shrimp and steak to cook in advance to make service quick and still serve the food fresh. Prep Person: The responsibilities of a Prep Person is to receive stock deliveries and merchandise and stock them properly using the company’s system. They are also tasked to marinate and salt the meats and prep other ingredients used in the preparation of the dishes. They must also keep their work area – including the walk-in freezer/cooler clean. Cook: A cook is in charge of cooking menu items that do not require grilling. They must follow the recipes provided to them to the letter to maintain consistency in every dish they put out. They must also maintain cleanliness in their work area and make sure the equipment they use are clean and sanitized. Server: A server takes the orders and tells the kitchen staff about the orders made by the customers. They get the food from the expediter to deliver to the guests’ tables. They are also expected to answer guests’ questions and help the dining room attendants maintain cleanliness in the dining area, as well as outside. Host/Hostess: The host/hostess is the restaurant’s front liner. They lead the guests to their seats and give them the menus to study. They must also be knowledgeable about the menu and the specials offered so they can inform the guests before letting the servers take over. Team Leader: Under the guidance of the restaurant manager, the team leader must be able to manage the team on shift by delegating tasks and providing assistance when it is necessary. They must also be able to interact with customers, respond to complaints promptly, and provide them with a good experience. Shift Manager: The shift manager, along with the team leader, will supervise the staff to ensure that they adhere to the standards set by the company. They need to make sure that all the equipment are working properly and report any repairs needed to upper management. They also perform administrative tasks in-store and report their findings to upper management. Applying for a job at Pollo Tropical is easy. Just go to their website and click on Job Postings at the footer on the page and click the proper buttons to apply. It is possible to apply in-store. Check their website and look for the phone number of the branch you wish to work at and set an appointment. If sending an online application, make sure you fill out all required fields and try to give as much information as one can in the space given. Have an updated resume make sure that all relevant experience is included. Don’t include every job one has ever had – just the ones that are related to the job being applied for. During the interview, just relax and listen carefully to the questions being asked. Answer the questions honestly and be concise with your answers. Don’t be afraid to ask the interviewer to clarify if needed. The culture within the Pollo Tropical community is that of heart and family. They put their heart in everything they do and treat each other – even their guests as family members. Pollo Tropical just keeps on growing. They opened 27 locations in 2016 and are planning to open more in the future. Aside from the US, their Latin American tasting food has also reached countries like Ecuador, Panama, Venezuela, and Guatemala. This restaurant chain is known for their Latin American flavored chicken, but they have other grilled items in their menu that are just as delicious. The restaurant chain is also big on Corporate Social Responsibility. In 2009, PR News gave the restaurant chain the PR Platinum Award for a campaign called “Helping Handhelds Campaign” that benefits women in distress. 1 How old do you have to be to work at Pollo Tropical?